Coalitions in UK are a rarity; something we’ve only experienced a handful of times. But in other parts of the world they are the norm – and due to the individual intricacies of each political system, a number of different types of coalition have emerged. NB: coalition types are not mutually exclusive. 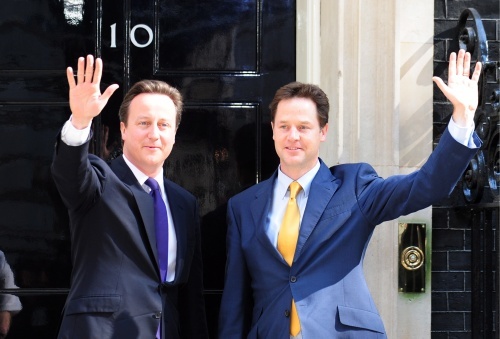 The 2010 UK coalition between the Liberal Democrats and the Conservatives can be classified as a Minimum Winning Coalition and may also be argued to be a Connected Coalition. This entry was posted in How Stuff Works and tagged Christian Democrats, Christian Social Union, coalition, Connected coalition, Conservatives, Fianna Fáil, Grand Coalition, lib dems, liberal democrats, Merkel, minimum winning coalition, Oversized Coalition, Pheu Thai, Progressive Democrats, Yingluck Shinawatra by The Political Loop. Bookmark the permalink.